Buying a new fishing kayak can sometimes be a tough task, with the sheer amount of options available for you to choose from, it is no question how beginner kayak anglers, and even seasoned veterans can have issues choosing the right boat. A lot of anglers will wonder if the kayak they purchased for fishing is really right for them, or if they would have been better suited by choosing a shorter, or longer kayak, or changing the width of the boat, or even the colors, sometimes. These are all legitimate concerns, but in order to buy the right fishing kayak, you’ll want to keep a few things in mind. First, you are going to want to consider the size of boat you require. This is a crucial decision. Take your body size into consideration, as well as the types of water you are going to be fishing in, and the amount of gear you are going to have to bring along. Fishing trip length plays a huge role in figuring out the exact gear required, but must be taken into consideration before you sink down your hard earned money on a boat that may not be big enough to hold the gear that you are going to need. Skinny waters require a different type of kayak, than fishing on open water, such as large lakes, or oceans, where boat wakes and waves are going to cause instability. 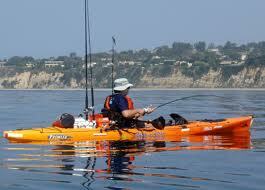 Storing the kayak is also a consideration to make while you are thinking about the size of the boat. Not only are you going to want to have adequate leg room, and storage space, but you are going to have to make sure that you have a place that you can properly store the boat. Most people use garages, and hallways, if the fishing kayak is stored indoors, whereas others will build PVC racks to store their boats outside. This entry was posted in Kajak Fishing and tagged Boats, fishing kayak, fishing kayak accessories, Fishing Kayaks, fishing kayaks for sale, Fishing Tips, fishing trip, Kayak Fishing, kayak for fishing, kayaks for fishing, Open Water, pvc, Storage Space, Waves on January 2, 2010 by Michael.